Roman Reigns is one of the first wrestlers I fell in love with when I started watching the WWE again. He is definetly one of those wrestlers you either love or you hate. I love him whereas Liam isn't keen, the only issue with Roman is he isn't very good at promo but he is a great wrestler. Maybe if he got chance to cut more promos and work on how they are delivered more people would like him. The big dog though for me is just brilliant. 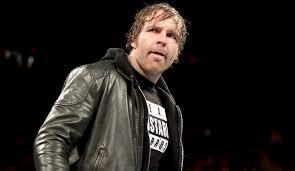 The Lunatic fringe Dean Ambrose. I think one of the main reasons I love him is due to how much of a lunatic he really is, no-one stands in his way. I loved his recent little feud with the Miz (a wrestler who just missed out on my top 5). I am just hoping that his injury doesn't sideline him for too long as he was doing great especially now the Shield has reformed. Let's just hope that when he does come back the Shield storyline really picks up again. The Usos are one of the only tag teams I enjoy watching and their feud with The New Day was fantastic. One of my standouts was definitely the Usos and The New Day doing their little wrap battle, which in my opinion the Usos definitely won. Not only do Jimmy and Jey have brilliant chemistry within the ring but they are also brilliant with promos and really hyping up the match. I am really hoping they get more brilliant opportunities through 2018. I was so glad when I got to see them in 2017. The 5 feet of fury that is Alexa Bliss is in my opinion the best female wrestler currently on the Raw roster (only just beating Paige), she can cut a brilliant promo and her ability in the ring is also brilliant she is a true champion in my eyes. The attitude she adds to her character is also fantastic as along with her look she really adds the attitude and uniqueness which she definitely carries. I can't wait to see more of Alexa in 2018 and I especially can't wait to see what is in store for Team Rude (Alexa and Nia) especially with the first ever Women's royal rumble approaching. 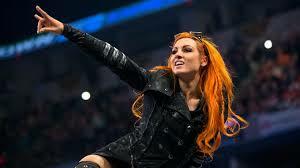 I would honestly say overall Becky Lynch is my favourite female wrestler, when I saw she was on the card for when we went to WWE live I was so excited but also a little upset as it meant I couldn't go to her store signing that same day. Becky is great on the mic and is absolutely fantastic in the ring, I really hope that 2018 is the year she has a title shot (and hopefully wins it), her friendship with Charlotte is brilliant but more matches between the 2 of them would be fantastic. I loved how she had a chance to take on James Ellsworth last year and actually won (there was no question that she would lose really). Becky has recently been filming the latest Marine film with the Miz so I really can't wait for that either. So there you have it those are my top 5 wwe wrestlers at the moment. 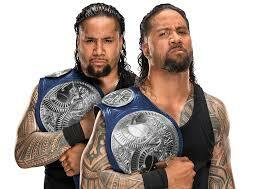 If you watch WWE who are yours?